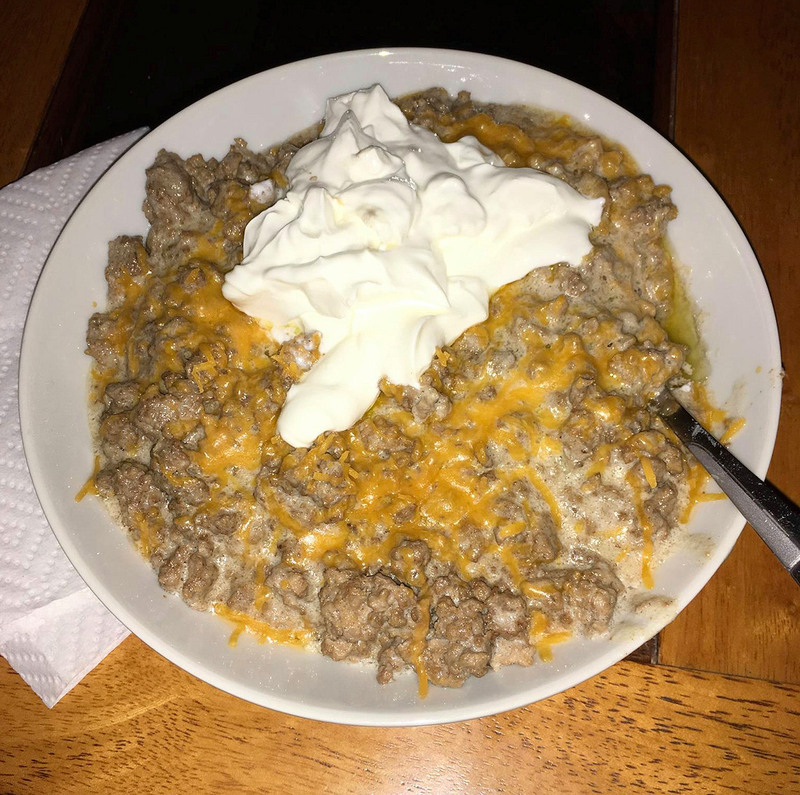 Cook a pound of ground beef, and right about when it’s done, stir in 4 oz of cream cheese, then put in a bowl, then add shredded cheddar cheese. 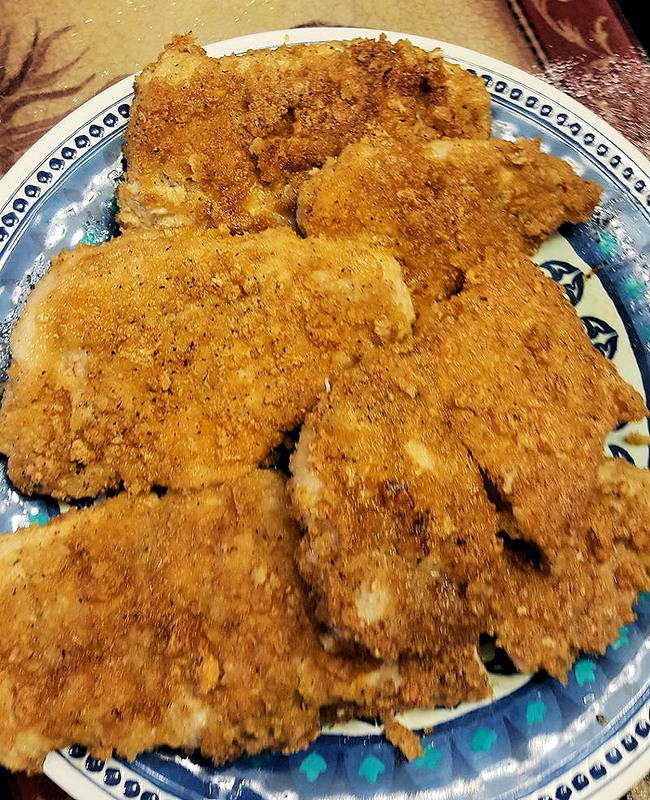 Joe’s version with sour cream! 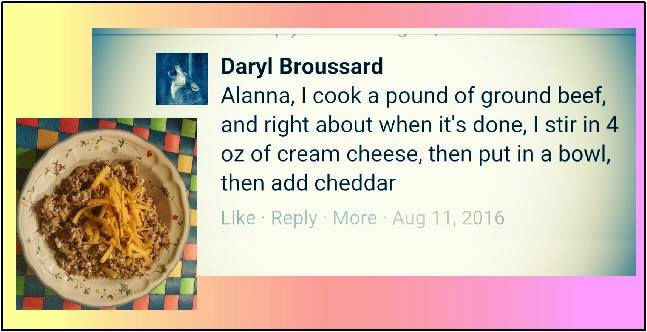 Make the Hollandaise Sauce first and use the extra egg whites for Marcy’s Pancake / Crepe Recipe. 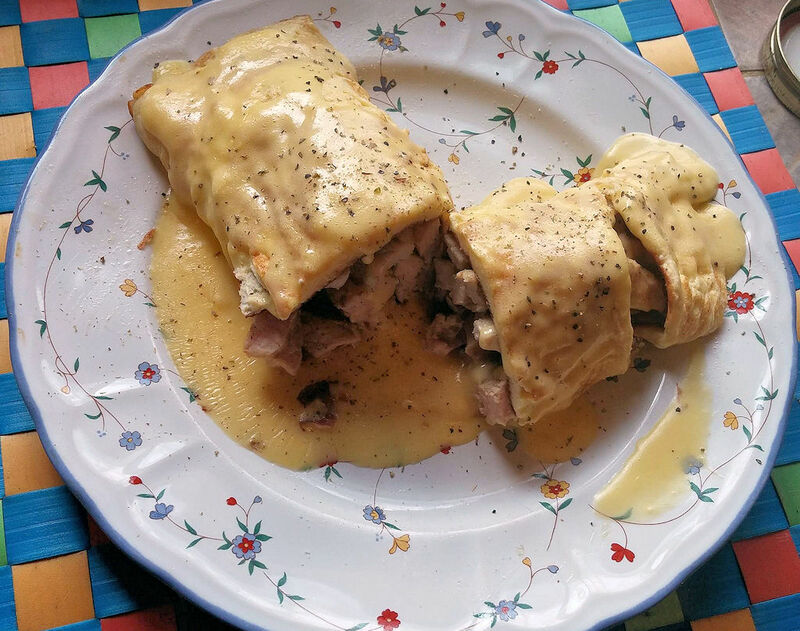 Fill pancakes with chopped or shredded chicken or pork, roll up and top with Hollandaise Sauce. 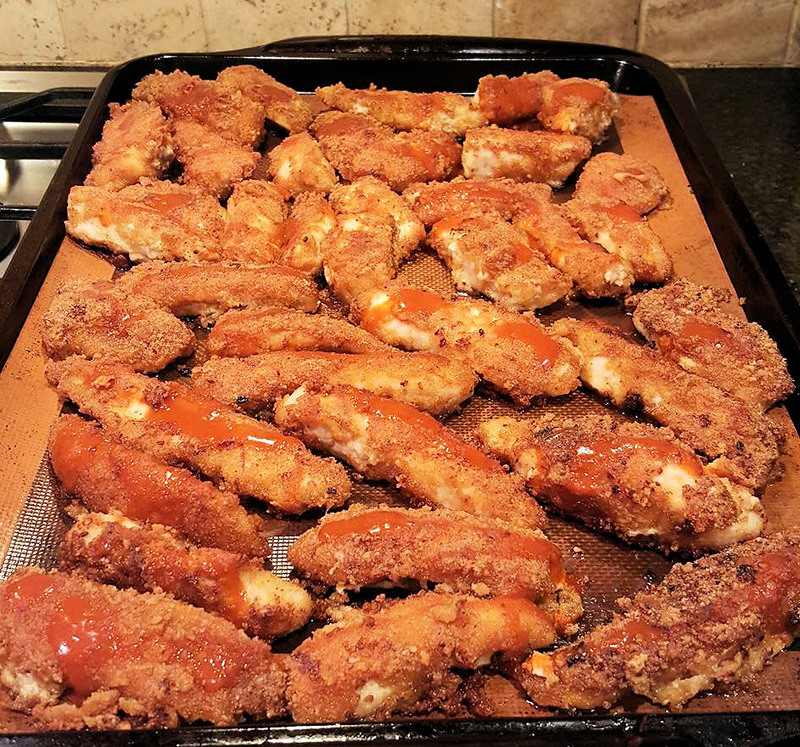 For more zero carb recipes and tips on how to live the zero carb lifestyle, join us in our Facebook Groups: Zero Carb Living the Good Life, Zero Carb Health, Zeroing in on Health.